Fredison Costa, 39, won the 24th annual Walt Disney World Marathon for the fourth consecutive time, and sixth overall. Costa, who hails from Brazil, but now lives in Kissimmee, finished the race with a time of 2 hours, 23 minutes, 15 seconds, a full seven minutes faster than the runner-up. 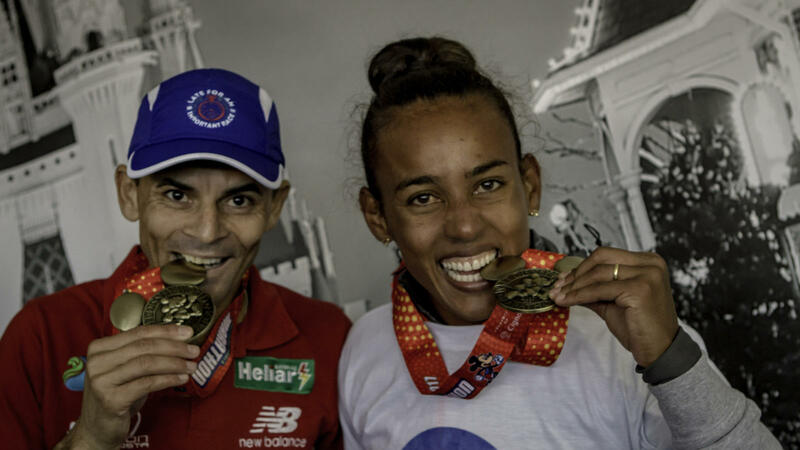 Vanilson Neves, also of Brazil, came in second, but Costa said Neves challenged him with three and a half miles left in the race. “Vanilson was very prepared. He was a very strong runner. I had an ace up my sleeve. At 35 [kilometers], I increased my pace, and he couldn’t keep up. That was my time to release all my energy.” Neves, 28, finished with a time of 2 hours, 30 minutes, 24 seconds. Neves completed in the Dopey Challenge and won the 10K on Friday. This year’s 17,700 runners saw temperatures in the 30s, with a wind-chill in the 20s. The Half Marathon was cancelled on Saturday, due to heavy storms with lightning along the race path.